Trigger Warning: if the 2016 presidential election has you waking up in the middle of the night in cold sweats, you may wish to give this conversation a pass. 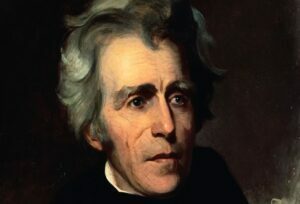 Then we move to a discussion of whether Donald Trump is anything like Andrew Jackson–something proposed by historians and NPR journalists alike. Connolly, one of the most articulate defenders of Andrew Jackson not named Sean Wilentz, thinks not. We also explore whether American history contains an election in which two candidates are so unpopular with their own parties (spoiler alert: we’re stumped). Connolly concludes with observations on the longevity of American political parties, why they survive, and why they die. As always, you’re welcome to join our Facebook group, let us know how we’re doing, and what you’d like to hear in the future!